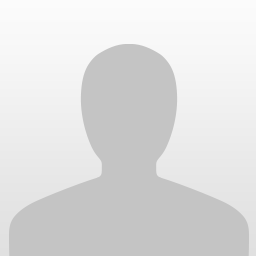 Will there be a teaser trailer for Pacific Rim: Uprising, the highly anticipated Pacific Rim sequel directed by Steven DeKnight and starring John Boyega and Scott Eastwood at this year's Comic-Con? Unfortunately for those attending the San Diego convention this month, the answer to that question is no. 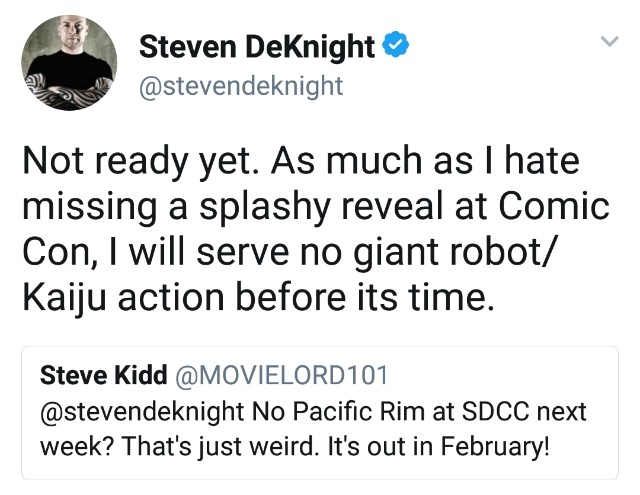 Despite DeKnight acknowledging to us a while back that Pacific Rim would be present at SDCC in one form or another, it seems the expectations of a teaser trailer have been put to rest. 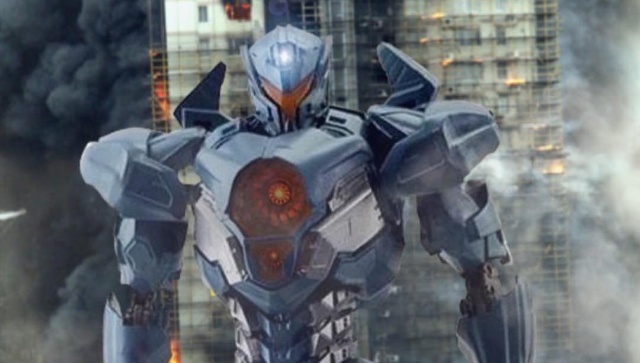 Responding to a fan query on Twitter, Steven explained that they are not yet ready to debut footage from Pacific Rim: Uprising at SDCC, despite the exciting urge to do so. 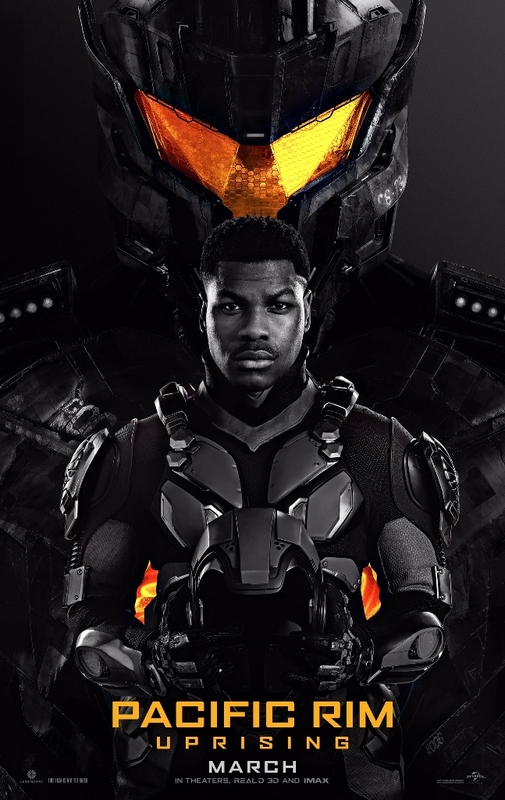 Despite the lack of a Pacific Rim: Uprising teaser trailer, we're still intrigued to see what Legendary bring to Comic-Con to hype up the film. 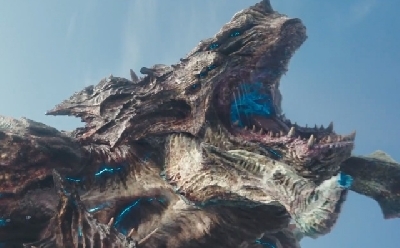 If you're attending this year's SDCC let us know in the comments section and be sure to keep an eye out for anything Pacific Rim! I hope we get a trailer around mid 2017 tho. 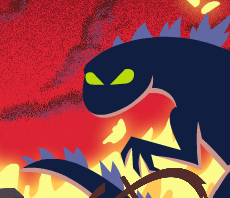 I've got this strange feeling we're getting a little surprise during Comicon.